I LOVE these Galaxy Nails! I actually took my time and did some nice Galaxy Nails for day 19 of the challenge!!! So many colors used!! Sinful Colors Secret Admirer is the base. It's a pretty black and silver sparkley. Sponged over that is Sally Hansen Xtreme Wear White On, China Glaze Breakin (orange), Sinful Colors Beautiful Girl(pink), OPI Yodel Me on My Cell(blue). I dotted some white and was going to leave it at that, but SH Twinkle Twinkle just called to me for MORE stars in the night! The texture for them is GREAT for lacquer! 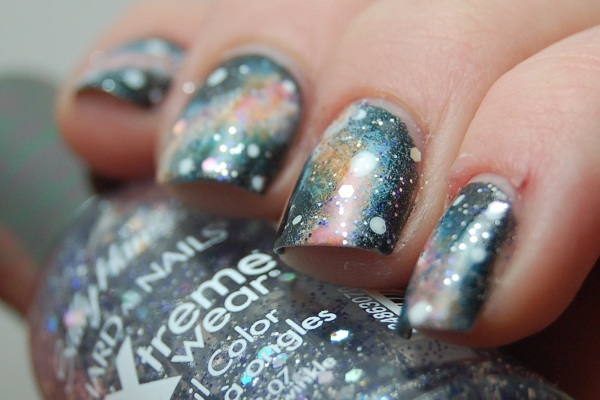 Oooh I luv luv your galaxy nails! 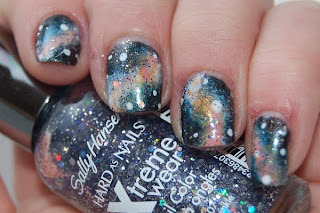 great job on this Galaxy nails! 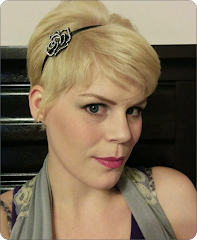 Thanks so much everyone! I'm seriously thinking this is my favorite mani yet!